This book was fascinating. I loved learning about the thinkers in a changing society who were advocates for the poor and sought to make actual changes towards reducing poverty. 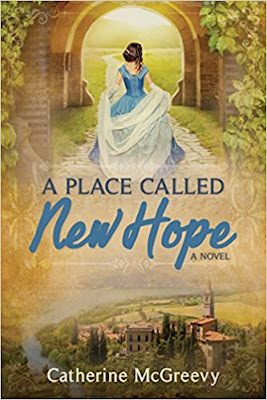 An experience in her youth motivates Letty to dream of helping the poor, and the writings of other utopian leaders prompt her to plan her own project of the sort. She believes she has everything planned out, but her recurring internal question, "what could go wrong?" foreshadows the challenges she faces when her dream becomes reality. Her determination and compassion is admirable, and she begins to earn the respect of New Hope's residents when she works alongside them and encourages them to be autonomous in solving their issues. Letty's relationship with Patrick is practical but friendly, and develops into deeper feelings as he supports her. Their romance isn't exactly romantic since Letty's world revolves around New Hope, but they have a sweet love story by the end. Be sure to enter both giveaways! 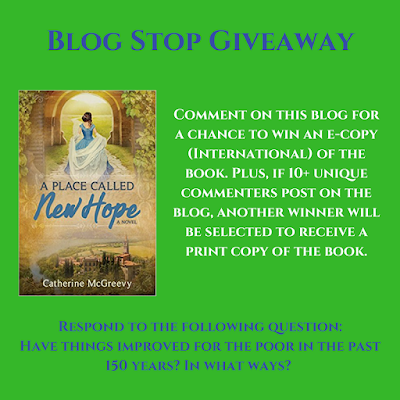 Comment on this blog for a chance to win an e-copy (International) of the book. Plus, if 10+ unique commenters post on the blog, another winner will be selected to receive a print copy of the book. 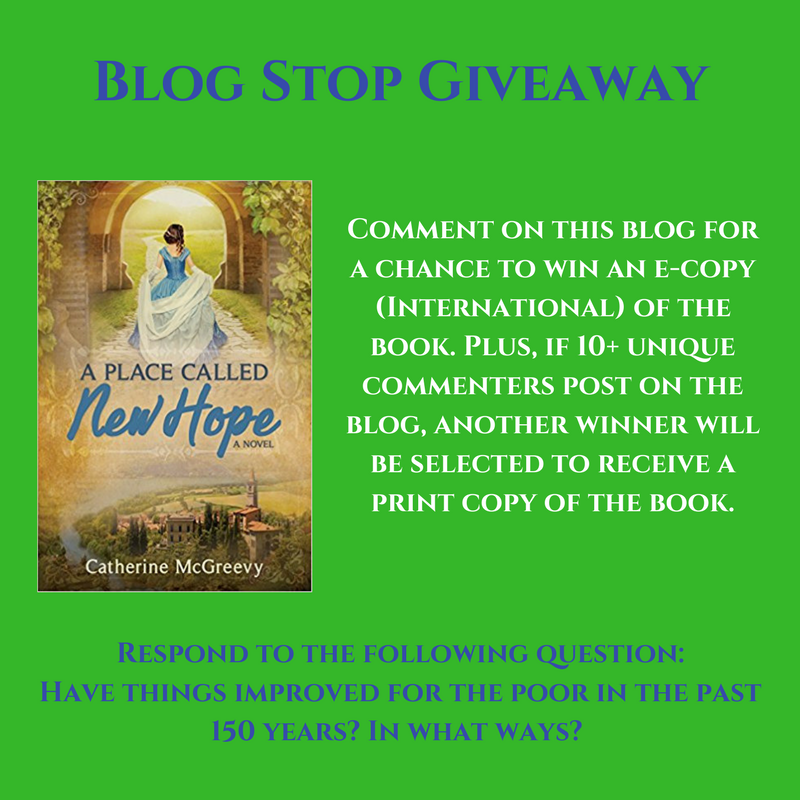 Plus, if 10+ unique commenters post on this blog, one commenter will be selected to receive a print copy of the book in addition to the e-copy book winner. Have things improved for the poor in the last 150 years? In what ways?